FAST engineers know that not only do you want your engine components to work together, you want them to look cohesive too. That’s why the new FAST Die Cast Aluminum Valve Covers are designed both to perform and to create a matching package with the new FAST EZ-EFI 2.0 and FAST Aluminum Air Cleaners. 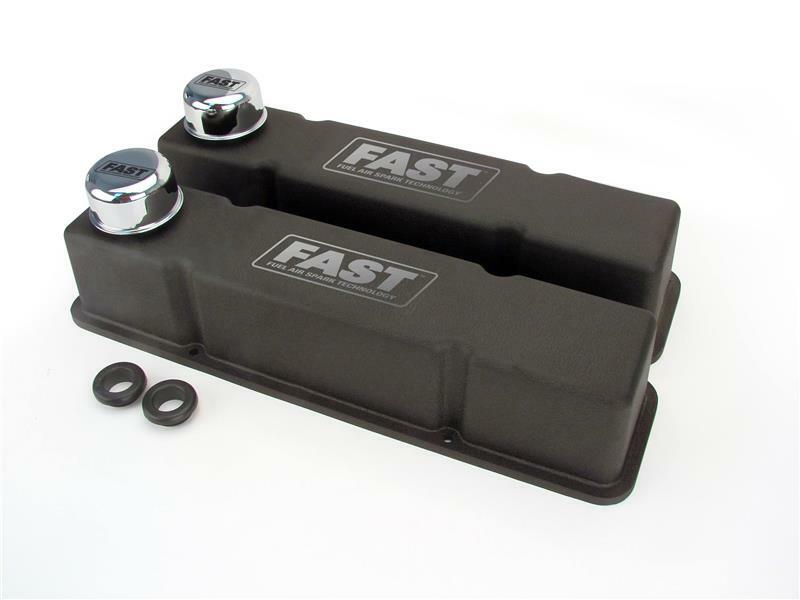 Branded with the FAST logo, these Black-Wrinkle powder coated valve covers are manufactured in the USA and offered for Small Block Chevy, Big Block Chevy and Small Block Ford applications. A tall height is designed to clear aftermarket valve trains while rails on the sealing flange help locate the gasket (SBC only). 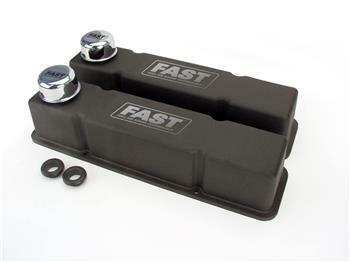 The valve covers are perimeter-bolt style, and each kit includes breathers. FAST Die Cast Aluminum Valve Covers are the perfect choice when it comes to engine styling.